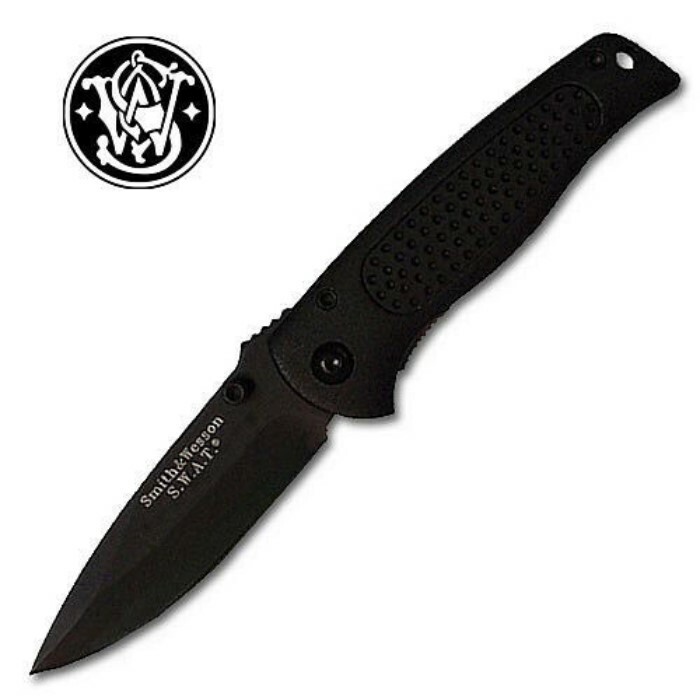 Smith & Wesson Baby Swat Plain Black Folding Knife | BUDK.com - Knives & Swords At The Lowest Prices! Smith & Wesson has been manufacturing, designing and distributing high-quality stainless steel knives and accessories since its inception. S&W is also renowned for their specialty items and custom designed pieces. Features a 2 3/4 blade, 5 3/4 overall.